Simple. Throughout the years, the bowling business has proven to be a stable, predictable and profitable industry. 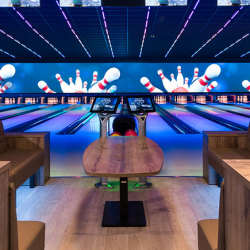 Whether it's a traditional bowling center, a family entertainment center or a mixture of bowling, mini-bowling and other attractions, bowling provides a stable base to build your entertainment concept. It's Easy! Bowling is accessible and easy to learn for young and old. It's Fun! Children, teenagers, adults and senior citizens, of all ages enjoy having fun together bowling, in one of the few activities where they have an equal chance to win!! It's Weatherproof:! Bowling can be played 365 days …. whatever the weather! More than 100 million people worldwide go bowling at least once a year. 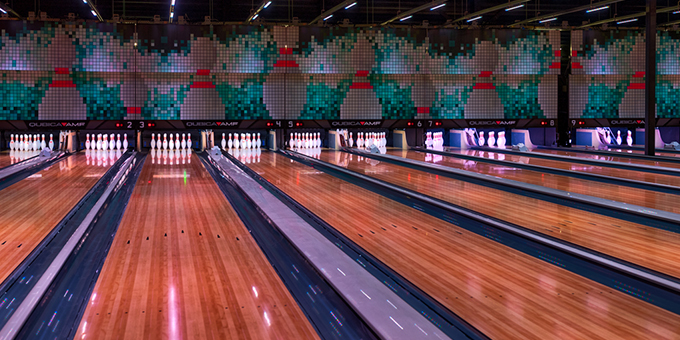 More than 210,000 bowling lanes are spread over 11,500 bowling centers worldwide. 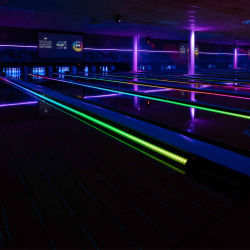 Bowling has an established reputation as a popular all-age family leisure attraction as well as a healthy sporting activity, and is considered an 'anchor business' within the leisure segment. What can Bowltech do for you? 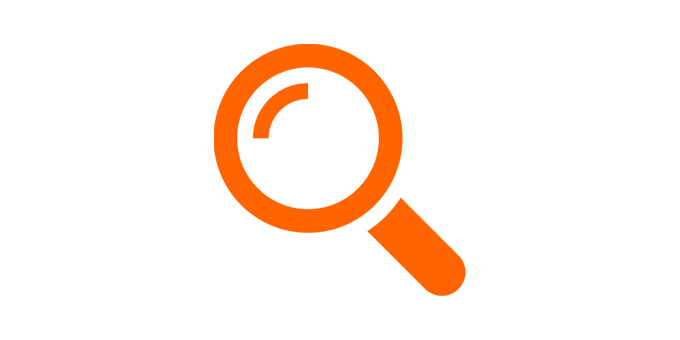 Over the years, Bowltech has developed a unique network of manufacturers and suppliers, all of which are known for their innovative designs, advanced product functionality and undisputed quality standards. In the area of Capital Equipment, we are a proud distributor and strategic partner of QubicaAMF. Your investment in QubicaAMF Bowling Equipment will prove to be one of the most profitable decisions you may ever make, with the added bonus of working with the experts at Bowltech to explore the best options available to you. Our team of enthusiastic staff has a great affinity with the products we deliver, their possibilities and with the bowling industry in general. Since 1986 we have built an organization that will assist you with the right expertise at every stage of the investment, concept development and implementation. 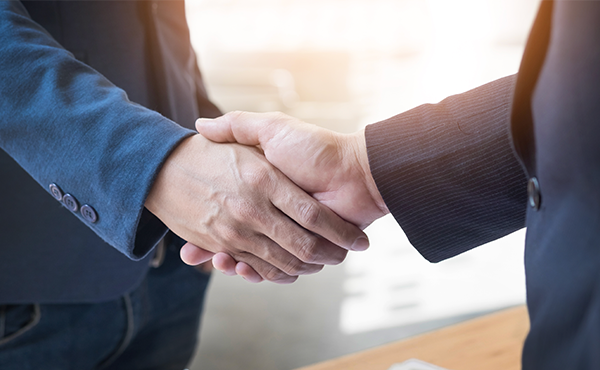 Afterwards Bowltech will continue to be your long term business partner through our professional after sales team, service support and the best product portfolio to maintain the daily operations of your bowling center. 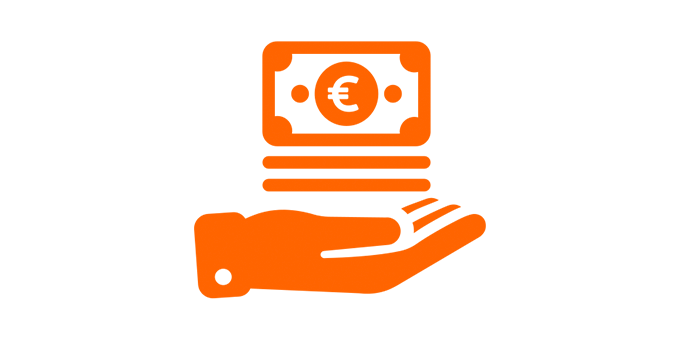 We help you effectively from A to Z, from concept development to the opening of your center; the experts of Bowltech are by your side. 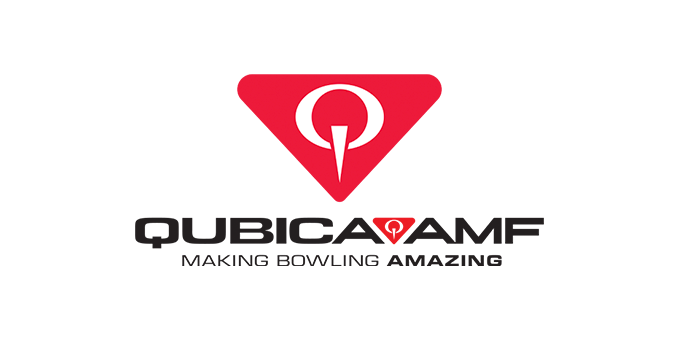 QubicaAMF is the largest and most innovative bowling equipment provider in the world with 600 employees and has a long history in bowling. 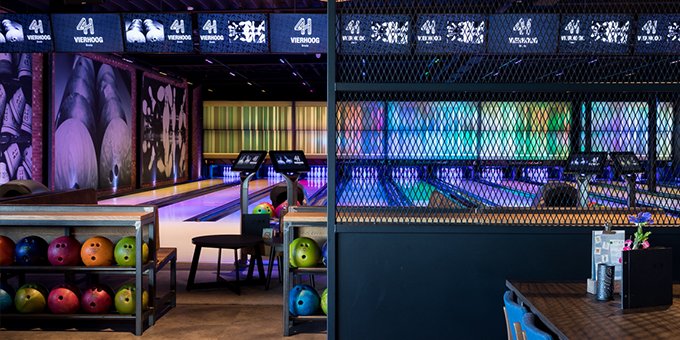 Because of their amazing products, more bowling entertainment centers are built and modernized by QubicaAMF than any other company in the world, every year. Their ongoing mission is Making Bowling Amazing. Knowing that bowling has so much more potential to attract and entertain even more people, more often. With products by QubicaAMF, we will help our customers fully unleash that potential. 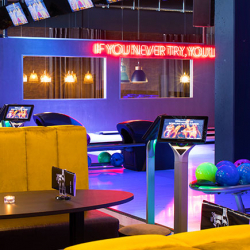 To make bowling amazing, QubicaAMF is creating an ever-growing ecosystem of products that work together and build on one another to deliver an AMAZING, never before seen, experience to your customers. Together with QubicaAMF, Bowltech has the in-house resources to assist with the placement of your bowling equipment and installation. 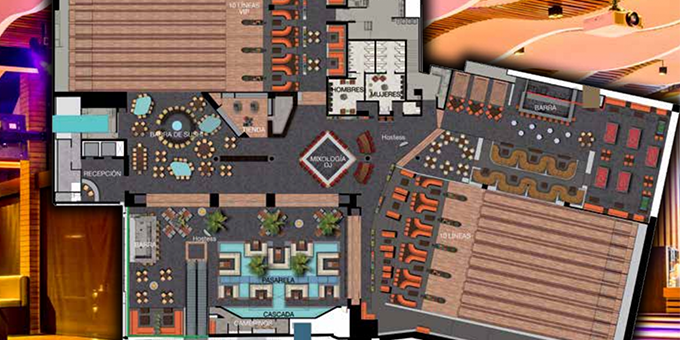 We work directly with your architect or builder to review and check the accuracy of your facility design. Opening a new center can take anywhere from 12 to 24 months. This includes all stages, from the business plan to the grand opening. Eight months between the start of construction and the grand opening is typical. The bowling equipment installation typically takes 2 - 2,5 days per lane. From installation to after-sales service and assistance, you won’t find a more comprehensive, responsive presence than Bowltech & QubicaAMF. 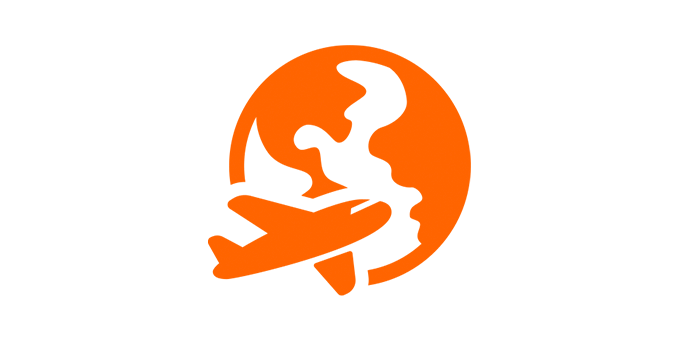 Bowltech will work with you and your staff every step of the way, offering assistance tailored to your center. Afterward, we provide everything you need to maintain a thriving operation. 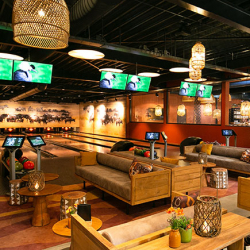 Boutique centers blend bowling, music and socializing, with food and beverage sales serving as the main profit center. Offering a hip and energetic environment, they frequently cater to young adults and adults. Tenpin bowling and/or mini bowling dominate the entertainment side, though other attractions are often part of the mix as well. Family Entertainment Centers (FECs) tailor their services to all genders and age groups and feature a multitude of attractions, such: mini bowling, arcade games, laser tag, go-carts and bumper cars. They often offer child-friendly play areas, and also have facilities for birthday parties, which make a substantial revenue contribution. Hybrid facilities might offer league play part of the week and open play or family entertainment the rest. They might also blend the boutique and FEC business models, including a variety of activities in conjunction with bowling. Serving as a social scene for adults and young adults, upscale food and beverage sales provide a large part of the revenue. When it comes to picking a business model, something that should be kept in mind is the type of pinspotters to be used. Both have their own advantages according to your desired business model. When choosing for a FEC Center we advise most customers to go for QubicaAMF TMS String Pinspotters. 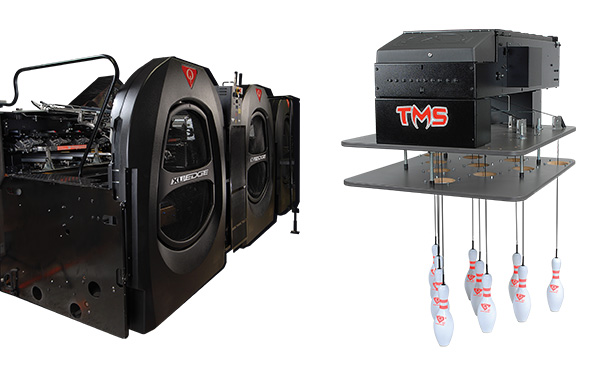 The TMS Pinspotter is a great option if you are looking to provide bowling purely for fun and entertainment. This pinspotter gives you authentic bowling fun with less operational complexity and costs than other pinspotter alternatives. 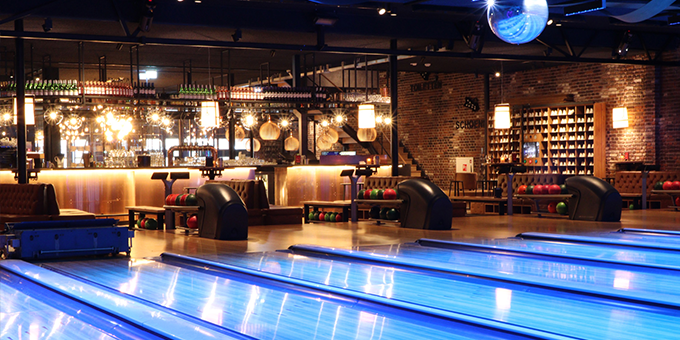 When looking into boutique centers or hybrid centers, the core business there is about bowling. That’s why Free Fall Pinspotters such as QubicaAMF XLi EDGE Pinspotters can be the perfect solution. 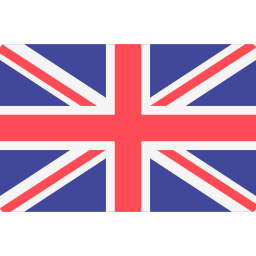 They are specifically designed to make your business easier; for you, for your staff and for your customers. NEW CENTER PLANS? LET US HELP.